1.00 To be eligible to receive funds from the three federal granting agencies -- the Natural Sciences and Engineering Research Council (NSERC), the Social Sciences and Humanities Research Council (SSHRC) and the Canadian Institutes of Health Research (CIHR) -- the University has signed a Memorandum of Understanding (MOU) with the agencies that outlines roles and responsibilities for the administration of research. Schedule 2 of this memorandum sets out guidelines for the conduct of research involving humans. It states that the agencies will only fund researchers, institutions or partnering organizations that adhere to the ethical principles and articles of the Tri-Council Policy Statement: Ethical Conduct for Research Involving Humans, 2014 (TCPS 2). In addition, any research involving human stem cells must adhere to CIHR’s guidelines. 2.00 Definitions are taken from the TCPS 2. Human biological materials include tissues, organs, blood, plasma, serum, DNA, RNA, proteins, cells, skin, hair, nail clippings, urine, saliva and other body fluids. Materials related to human reproduction include embryos, fetuses, fetal tissues and human reproductive materials. Further definitions of these terms can be found in the application section of article 2.1. Human Participants: Those individuals whose data, or responses to interventions, stimuli or questions by the researcher, are relevant to answering the research questions. Individuals who are authorized to release information or data in the ordinary course of their employment about organizations, policies, procedures, professional practices or statistical reports are not considered human participants unless they are asked for personal opinions about their respective organizations or are observed in their work setting for the purposes of research. Minimal Risk Research: Research in which the probability and magnitude of possible harms implied by participation in the research is no greater than those encountered by participants in those aspects of their everyday life that relate to the research. Research: An undertaking intended to extend knowledge through a disciplined inquiry or systematic investigation. 3.00 This policy applies to all research involving humans, including human biological materials, conducted within Laurier’s jurisdiction or under Laurier’s auspices, by Laurier faculty, staff or students, regardless of where the research is conducted. However, when accessing identifiable information in publicly accessible digital sites, such as Internet chat rooms, and self-help groups with restricted membership, the privacy expectation of contributors of these sites is much higher. In these cases, researchers shall submit their proposal for REB review. Research that relies exclusively on secondary use of anonymous information, or anonymous human biological materials, as long as the process of data linkage or recording or dissemination of results does not generate information from which individuals might be identified. Quality assurance and quality improvement studies, program evaluation activities, and performance reviews, or testing within normal educational requirements when used exclusively for assessment, management or Improvement purposes. Creative practice activities, in and of themselves, do not require REB review. However, research that employs creative practice to obtain responses from participants that will be analyzed to answer a research question is subject to REB review. 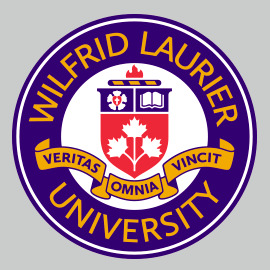 4.00 In order to fulfil its obligations under the MOU, Laurier grants the REB the mandate to review the ethical acceptability of research on behalf of the institution, including approving, rejecting, proposing modifications to, or terminating any proposed or ongoing research involving humans. All research involving humans as defined by the scope of this policy shall be reviewed by the REB or one of its delegated departmental Research Ethics Committees (REC). Laurier grants the REB the authority to accept another REB as board of record for a research project when circumstances warrant. This decision will be made jointly by the REB and the Vice-President: Research so that institutional obligations under both the TCPS and the MOU are met. The REB shall be constituted according to the TCPS 2. In making its decisions, the REB will follow the specific guidelines laid out in Articles 2 through 13. Where issues raised in individual REB applications are not addressed specifically in the guidelines, the REB shall use the three core principles of the TCPS 2 to assess the ethical considerations of the proposal. These principles are: respect for persons; concern for welfare; and justice, as explained in Article 1.1. The REB will take a proportionate approach to the review of proposals as outlined in Article 2.9. Research that is above minimal risk will be reviewed by the full REB. Research that is minimal risk will receive a delegated review as outlined in the REB terms of reference. Research that poses minimal risk shall not normally require peer review for scholarly merit. For research that is above minimal risk, additional review shall not be required where there is an existing peer-review assessment (e.g., if the research was funded through a peer-review process). In cases where peer review is required, the Office of Research Services will co-ordinate a scholarly review of the research on behalf of the REB. Approvals will be for a maximum of 4 years. Researchers must complete annual reports and a final report at the conclusion of the research project. Projects for which an annual report has not been submitted will be considered expired. As of March 1, 2013 all individuals listed on an application to the REB, must provide proof of completion of the current TCPS 2 Tutorial Course on Research Ethics (CORE) (http://tcps2core.ca/welcome) by attaching a copy of their CORE certificate to the application. Certificates must be updated every 4 years. In addition, the REB must review all substantive changes from approved research that affect participants at any stage of the process including, but not limited to, changes to the consent form, changes to the tasks or interventions involved in the research, or changes to measures to protect privacy and confidentiality. Any substantive change to the research should not be implemented without documented approval by the REB, except when necessary to eliminate an immediate risk to the participants. No research funds related to an REB proposal will be released until REB approval is obtained. If a project finishes or expires, funding will be frozen until the researcher either submits another proposal, reopens an existing project, or provides the Office of Research Services with documentation certifying that all research with humans pertaining to the grant in question has been completed.